Are you Guilty of These 6 Digital Marketing Mistakes? With 2019 right around the corner and the holidays wrapped up, we bet you’re starting to think hard about your digital marketing strategy for next year. The digital marketing landscape is more diverse than ever before with marketing strategies spreading across multiple channels. This can make it hard to know where to even start in your digital marketing plan. Learning from others’ mistakes can set you up for a 🔥 digital strategy. We’ve learned these six dreadful marketing mistakes can cost you time and money that you don’t want to waste. Steer clear of these marketing sins for smooth sailing in 2019! This is number one on our list for a reason. 55% of visitors only spend 15 seconds on a website, which is why you should prioritize updating and optimize your website in your digital marketing strategy for the new year. If you’re spending time crafting social posts, writing blogs and implementing SEO strategies, then your website better impress the traffic you’re driving to it. Having the proper website architecture, a stunning design, and effective call-to-actions will make your advisor site more effective and easy to navigate. As a financial advisor, we get that you might not know the first thing about coding and design. We recommend first looking at what other advisors got right to inspire you. 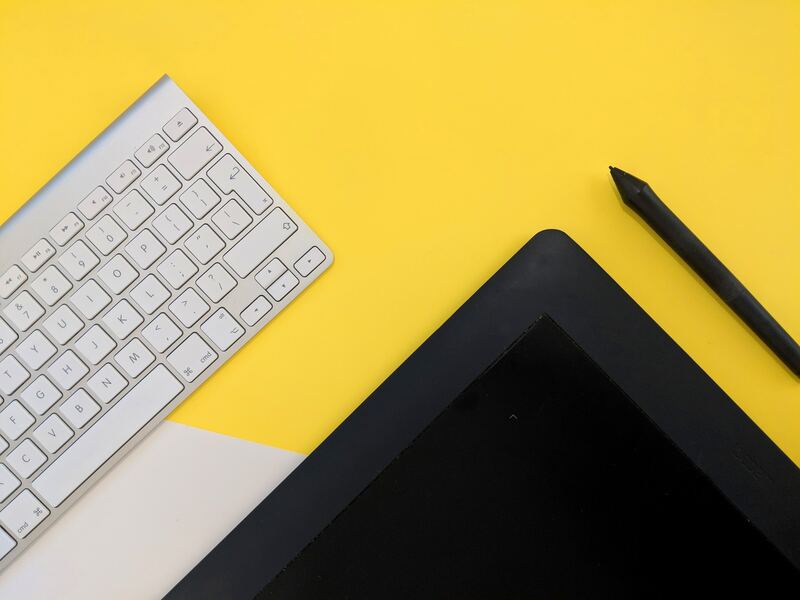 There are plenty of resources for DIY web design out there, but you also might want to consider getting some professional help! 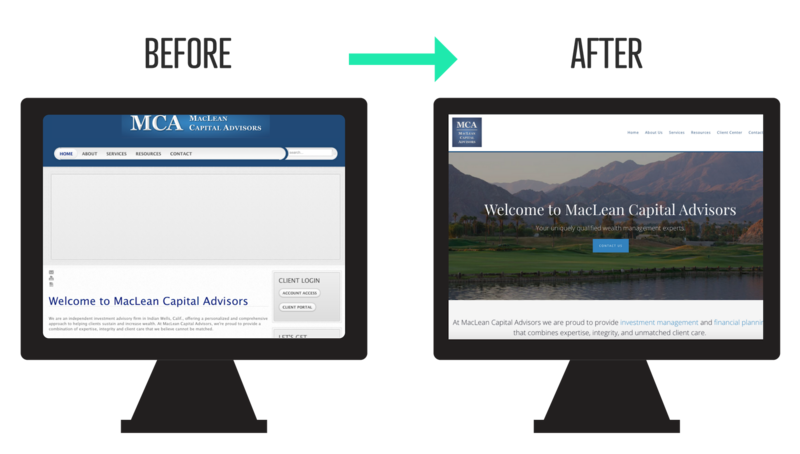 We worked with MacLean Capital Advisors to refresh and update their old, outdated advisor website. Your website can only be helpful if potential clients can find it, which is where a killer SEO strategy comes in. SEO, or search engine optimization, makes your site more visible to people searching for similar services. By including keywords, tags, links, and maximizing local search, you’ll start to drive more traffic to your site. Mastering SEO will help you achieve top local search results so that potential clients in your area can find you easily. While it may take a while to master, once you get the hang of it you’ll start to see huge results. 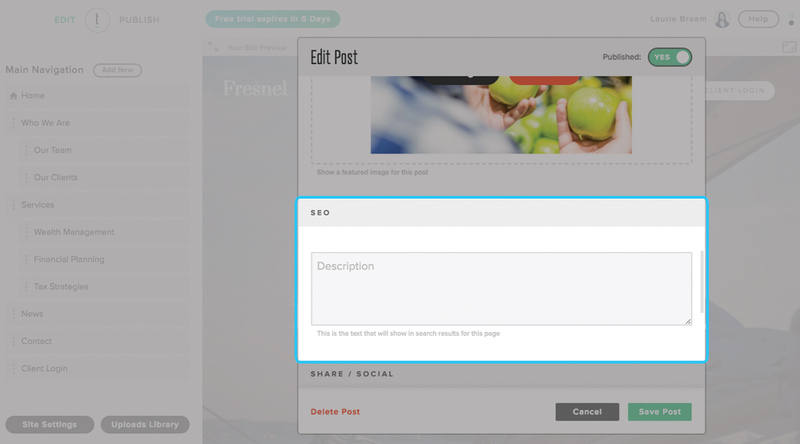 There are plenty of resources to help you get started like our free SEO kit. If you haven’t already incorporated this tactic into your digital marketing strategy, you don’t want to wait any longer! The Twenty Over Ten platform is jam-packed with on-page SEO features to help boost your advisor website in the SERPs (search engine result pages). From adding and editing your website’s metadata including blog posts to adding alt text to images and more we make SEO a breeze without a bit of coding or design knowledge. There are now 3.196 billion people using social media. That number will only keep growing, making it essential to be present on social media. We recommend at least being on the big three: LinkedIn, Facebook, and Twitter. These platforms give you a way to personally interact with your audience and potential clients. You can share all sorts of things on social media, from company updates, to blog posts, to third-party articles that would benefit your clients. Social media has become the new first impression for small businesses and a way to educate and engage with your audience. It’s important to make it easy for your website visitors to check out your social pages. We recommend placing your social icons in a convenient location such as your footer, header and/or contact page. Content continues to be reigning👑. A blog is a natural and easy way to put out an abundance of content that is relevant and beneficial to your audience. Although blogging sounds like a huge time commitment, you can spend just a few hours a month developing content that your clients and prospects actually want to read. Not to mention, it’s great for your SEO and social media efforts. However, posting meaningless blogs that don’t connect with your niche won’t do you any good. You need to be strategic about the content you’re writing and posting. Since blogging and content marketing has become one of the most important digital marketing tools for advisors today, we wanted to make it as easy as possible for advisors to publish their own thought leadership. Enter: Content Assist. Content Assist is a new type of content offering solution on the market that was developed specifically for financial advisors to assist them in creating blog posts. 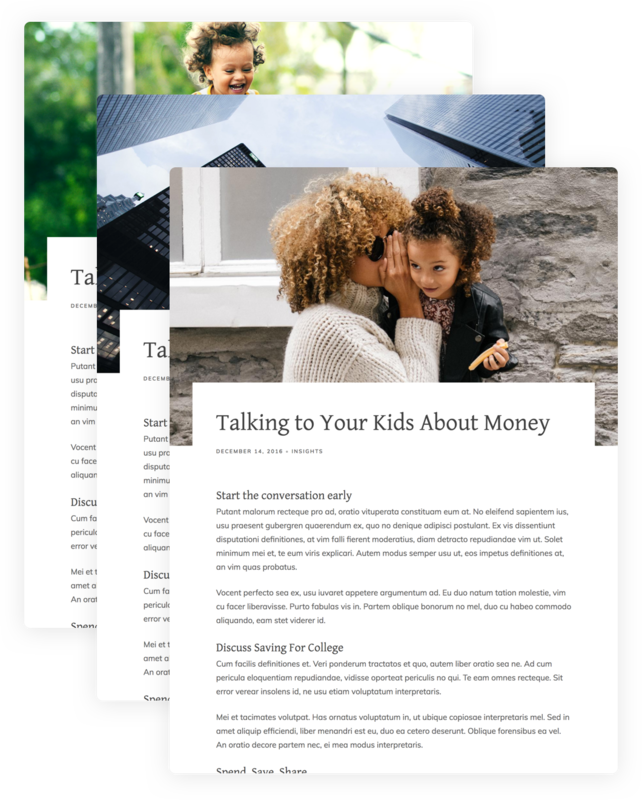 Built into Twenty Over Ten’s proprietary website-builder, users are able to choose blog posts by category (retirement, home-buying, young adults, etc. ), load them into their website, and then edit and further optimize the content for search engines. Advisors have the ability to customize and edit the content to add their voice, SEO keywords, and further promote their expertise, or use the content as-is. Content Assist can take the stress out of blogging by helping you create killer posts specific to your niche. With all of the platforms and types of content that marketers are faced with today, it can get hard to stay on top of it all. Consistency is just as important as the content you’re creating. A lot of advisors we’ve seen will post once in a blue moon or when it’s convenient, which won’t help your advisor business or your marketing efforts in the slightest. A strong marketing strategy starts with a plan and schedule that you can stick to. Whether you’re working solo on your firm’s marketing efforts or have a department assisting you, having a clear lists of tasks and dates helps keep everyone accountable. You can make your own editorial calendar by downloading our free one here! If you need help with your content schedule or content creation, there are plenty of resources for you. Planning everything ahead will ensure you are consistent and present online, which makes a great first impression for potential clients. 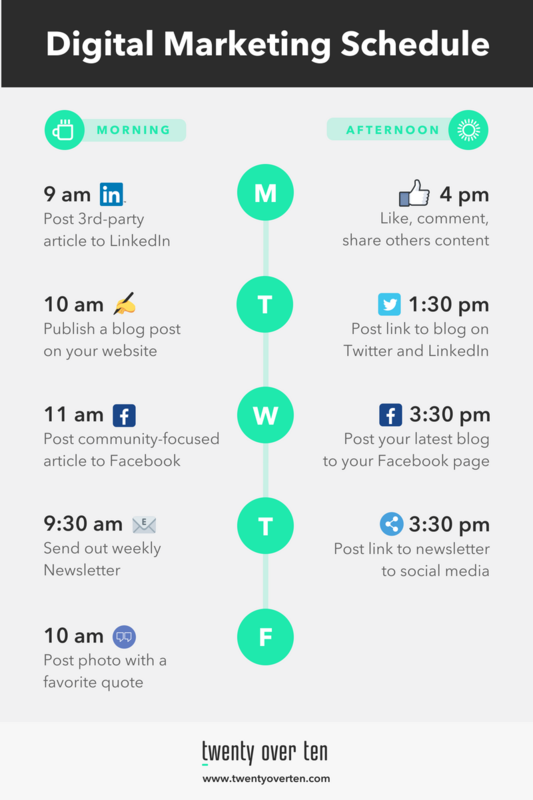 If you need some more help on what to post and when we have an entire blog devoted to what your daily digital marketing schedule should include! Like any other part of your business, your digital marketing efforts are an investment of time and money. Even if you follow every rule in the book, there’s no guarantee that your strategy will work the way you planned. Unlike posting a billboard on the side of the road or filming an expensive commercial, you’re able to constantly refine your digital marketing strategies as trends and preferences change. It’s important to set goals to measure your results against to make sure you’re on the right track. 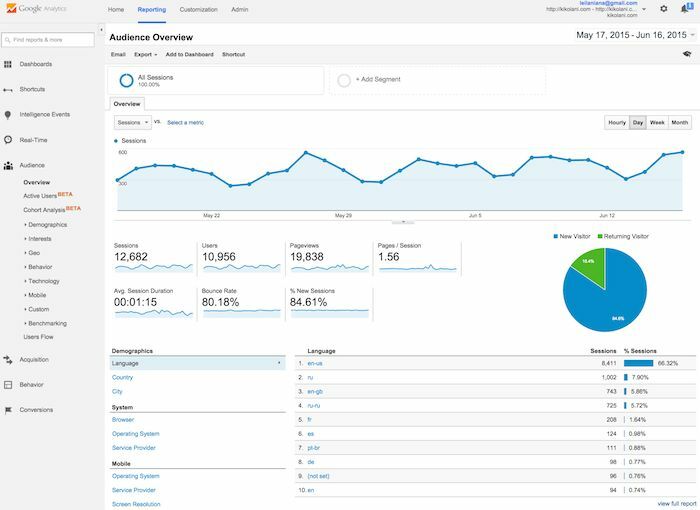 Using tools like Google Analytics can show what’s performing well and what might need some tweaking. There’s nothing wrong with making small, frequent changes to your strategy if you see things aren’t working. Ready to Revamp Your Website and Digital Marketing Efforts? We’re ready to help! Work with Twenty Over Ten’s expert team to build a website and start generating more business for your firm. With automatic site archiving, unlimited blogging, SSL certificates and more — we’ve got everything you need and then some.